Tel Aviv’s Tourism Association has begun a drive to rebrand the Israeli city as a popular gay destination. The association launched a six-month initiative this week called Tel Aviv Gay Vibe, which aims to encourage gay people from all over the world to visit the city, although it will primarily target gays and lesbians in France and Germany. 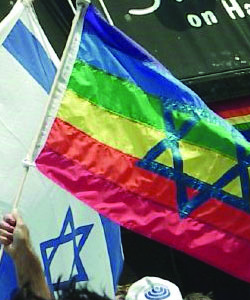 Etti Gargir, chief executive of the tourism association, said the project was designed to welcome gay people to Tel Aviv. Yaniv Weissman, an advisor to Tel Aviv Mayor Ron Huldai and a representative of the gay community in the city, said the drive was more about promoting the city rather than changing it, as it already has a lively gay scene. Last year, Tel Aviv’s gay community was shocked when a gunman opened fire on an LGBT meeting in a youth centre. Nir Katz, 26, a youth counsellor, and Liz Troubishi, 17, were killed, while another 15 people were injured. The perpetrator has not been caught. Mr Weissman said that security remained an issue but downplayed concerns. “The gay community around the world is very strong. Even though we had this terrible murder in the youth center, it connects the communities even further,” he said.